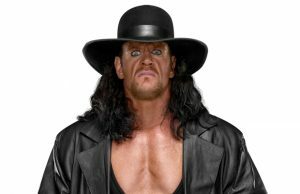 The Undertaker knows all about paying his dues, and that work ethic is evident in his ring work to this day. Back in the mid-1980s, before the era of slick developmental programs, entering the professional wrestling industry could be a major hassle, a matter of dealing with shady con men and rough characters just to catch a break. 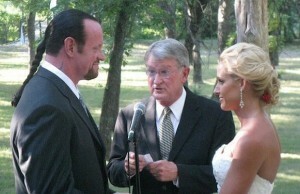 It was no different for Mark Calaway. In Bodyslams! : Memoirs of a Wrestling Pitchman, longtime ring announcer Gary Michael Cappetta, a friend of Calaway’s during the early years, shares the story of how Calaway—who had just graduated from Waltrip High School in Houston, Texas—borrowed $2,000 from his brother in order to attend Buzz Sawyer’s training school (at the recommendation of Len “The Grappler” Denton). Sawyer, according to Cappetta, skipped town with all the trainees’ money, and Calaway learned his first valuable lesson in the wrestling business. A few years later, both individuals wound up in World Championship Wrestling (WCW) at the same time and Calaway had it in his head to pound Sawyer’s face in, but was ultimately talked out of it. He then contacted World Class Championship Wrestling (WCCW) promoter Fritz Von Erich, who referred him to Don Jardine, otherwise known as The Spoiler. Jardine encouraged Calaway to incorporate agility and high-impact moves into his repertoire, instead of relying simply on his size. 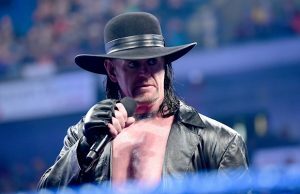 The Undertaker’s old-school walk along the top rope is a tribute to the late Jardine. Calaway then signed on with World Class, where—as the masked Texas Red—Bruiser Brody beat him up in his debut match. Calaway realized that Brody was doing him a favor by teaching him respect for the business. It seemed that Brody set himself as a role model for Calaway, who would later draw comparisons with the Albuquerque wildman not only in terms of size, but ring style and mystique. Even the Texas Red persona was patterned after Brody’s masked alter-ego, Red River Jack. Here’s an interesting side note about his debut: Texas Red was managed by Percival Pringle III, who would later become known as Paul Bearer. As Texas Red, Calaway was briefly affiliated with Pringle, alongside such stablemates as Rick Rude, The Dingo Warrior (who would later be known as Ultimate Warrior), Cactus Jack Manson (also known as Mick Foley), and strongman Ted Arcidi. In the spring of 1987, Red recognized a golden opportunity when World Class officials announced that the promotion would be resurrecting the Texas Tag Team Championship, which had been vacant since Chris Adams and Gino Hernandez had abandoned it in 1985. Red joined forces with Arcidi, who was most famous for his brief run in the World Wrestling Federation and appearance in the WWF and NFL Battle Royal at WrestleMania 2, to defeat his two mentors, Brody and Spoiler, in the opening round of the tournament. If that win wasn’t impressive enough, they went on to defeat the ultra-popular Fantastics—Bobby Fulton and Tommy Rogers—in the semifinals. On the other side of the bracketing, Tony Atlas and Skip Young had overcome Brian Adias and Al Perez in the opening round, and defeated Killer Brooks and Len Denton in the second round. In the end, the combined experience of Atlas and Young paid off, and they beat Red and Arcidi in the tournament final on June 29, 1987 in Fort Worth, Texas. During these early years with World Class, Calaway also had been attending Angelina College in Lufkin, Texas, on a basketball scholarship, and went on to Texas Wesleyan University in Fort Worth, where he played basketball and studied sports management. By 1988, Calaway was able to pursue wrestling full-time. While Calaway had been fortunate to compete in World Class during its boom period, which included an overseas tour to South Africa, he was anxious to experiment with new identities. After a few appearances as The Commando in Central Illinois Wrestling, he was ready for the big break that was about to come in Memphis, Tennessee. Bookers in United States Wrestling Association saw dollar signs in the 6’8″ frame of young Mark Calaway, and they gave him a big push from the very start. As The Master of Pain, Calaway had a series of managers, including Dutch Mantel, Downtown Bruno, and Ronnie Gossett. 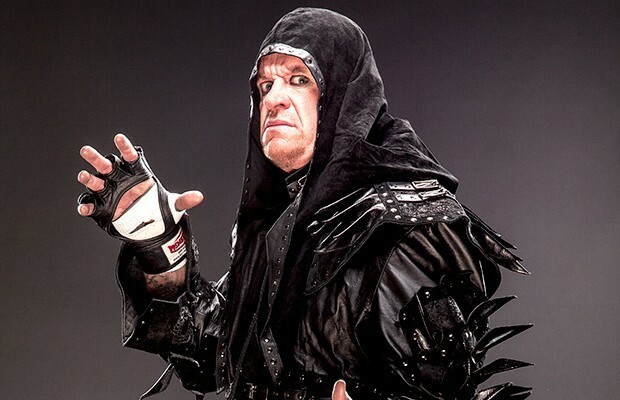 He was portrayed as an unstoppable monster, and he rode that momentum to a USWA Unified World Heavyweight Championship victory over Jerry “The King” Lawler. Unfortunately, the continuing fallout from the Unification Match between AWA World Heavyweight Champion Jerry “The King” Lawler and WCWA World Heavyweight Champion Kerry Von Erich in December 1988 overshadowed The Master of Pain’s title reign. Lawler had won that match on a technicality, and Lawler and Von Erich were still bickering over who was the rightful unified champion—even while The Master of Pain held the belt. When Lawler regained the title on April 25, 1989, The Master of Pain faded from the main-event scene. The Master of Pain scored a big victory in Lawler and Jerry Jarrett’s Championship Wrestling Association, defeating “Dirty” Dutch Mantell in a Loser Leaves Town Match. Texas Dirt, a masked man widely believed to be be Mantel, appeared on the scene and challenged The Master of Pain to another Loser Leaves Town Match. The Master of Pain lost this time around, and he was forced to leave the promotion. It was back in Texas, where Calaway donned the hood as The Punisher, a member of General Skandor Akbar’s Devastation Inc. The Punisher won the WCWA Texas Heavyweight Championship by forfeit from Eric Embry on October 5, 1989, but lost it to Kerry Von Erich two weeks later.